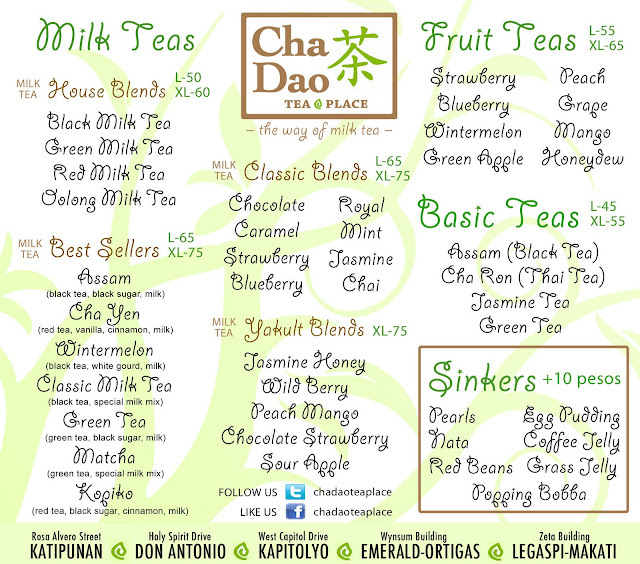 Cha Dao Tea Place first opened its doors to the public last June 2011 at Katipunan, Quezon City. In just a few months, the newly opened store has received much praise and attention from customers and the press. Aside from being one of the first companies to set up a store near the school district of Katipunan where students thrive, Cha Dao Tea Place is quickly becoming known for the affordability of its drinks. Compared to other milk tea shops, Cha Dao Tea Place offers quality drinks that fit a students budget – nothing over seventy five pesos with the cheapest drink pegged at thirty five pesos. This is almost half the price of other milk tea retailers. Cha Dao Tea Place is not only known for its unbeatable prices, but also for the good quality of its products. All drinks are made with freshly brewed tea, infused with milk and fruit extracts. Each flavor has undergone rigorous product development to achieve the right mix of tea and syrup that is favorable to the Filipino palette. Cha Dao Tea Place has an extensive menu, offering an array of over 30 different flavors ranging from milk to fruit teas, to suit every customers need and preference. In addition, customers can tailor fit their orders by choosing their own toppings, sugar level and ice preparation – making each cup a truly personalized drink. 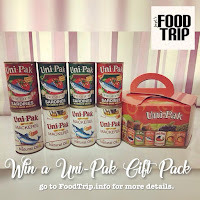 Their mission is to introduce tea as a healthy drink and an alternative source of caffeine. Tea is the second most widely consumed beverage in the world after water but in the Philippines, there are more coffee drinkers and very few tea lovers. This is because tea is usually served hot and bitter. With the opening of Cha Dao Tea Place, we aim at making our tea delicious and memorable, and gravitating from this distorted view. Our company prides in the health benefits that our products provide, and the enjoyable experience customers get when they sip their favorite cup of tea. After only two months of operation in the first branch, the demand for the product has led to the rapid expansion of the company. 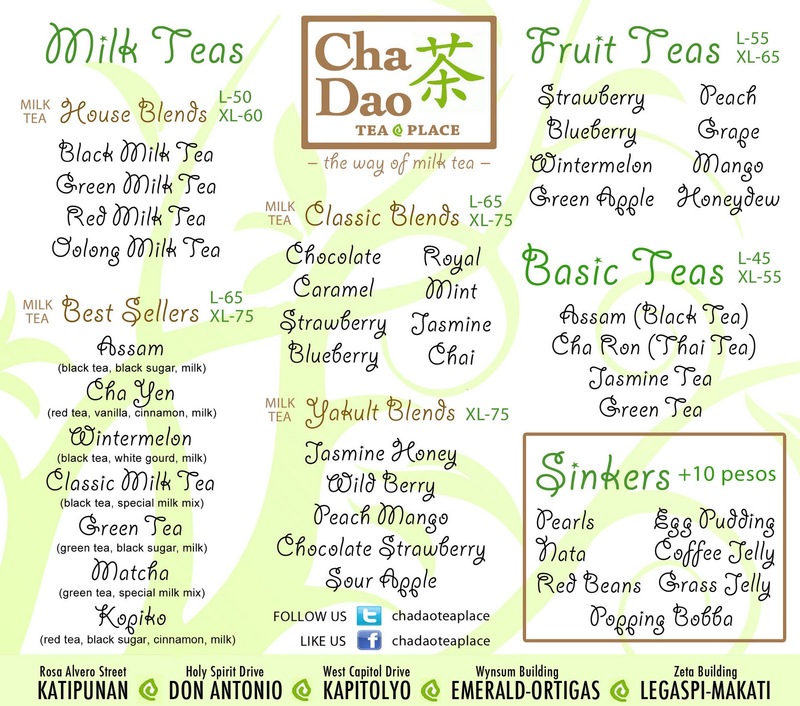 As of August 2011, Cha Dao Tea Place operates two more branches in Don Antonio, Commonwealth and Kapitolyo, Pasig, and there are three more branches slated for October. Affordable prices and an extensive menu of quality drinks coupled with the many benefits of tea makes Cha Dao Tea Place an ideal company that gives consumers value for money. 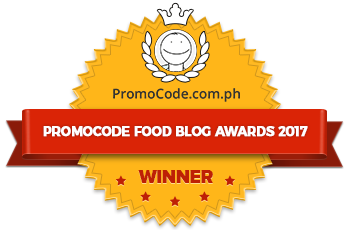 CDTP Wynsum Building - Emerald Avenue, Ortigas – COMING SOON! CDTP Zeta Building - Legaspi Village, Makati – COMING SOON! 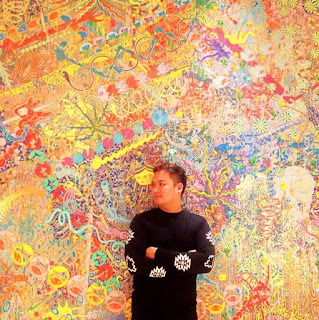 CDTP Maginhawa, Teachers Village – COMING SOON!